Over the past two years, Colombia has worked on three pieces of policy to respond to the falling prices of commodities. Making progress towards economic diversification and sophistication leading to new growth engines has been at the forefront of the agenda, with explicit objectives following that direction in the National Development Plan, the Productive Development Policy, and the Science, Technology and Innovation Policy. These policies were drafted within the framework of the National Competitiveness, Science and Innovation System , a unique framework for public-private collaboration. The decade-long commodity boom fuelled by strong growth in China, falling interest rates in the industrialized world following the global financial crisis and increased foreign direct investment and capital flows towards the region, resulted in vigorous growth throughout the region. Colombia was no exception and had the additional bonus of improved security and disproportionate investment flows. 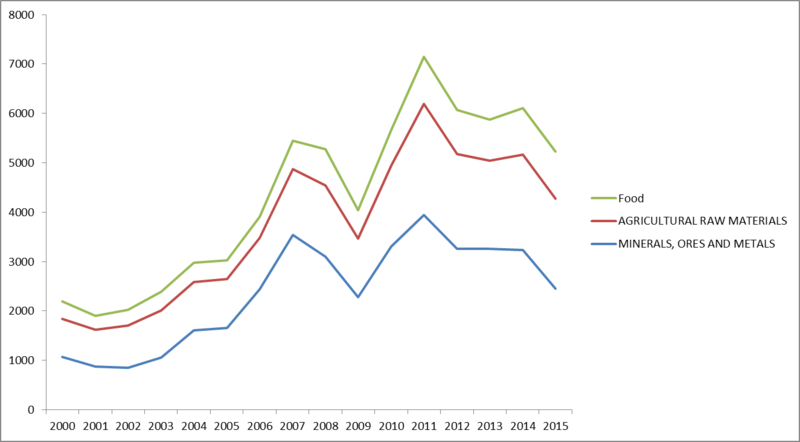 During the period 2002-2012, Colombia grew at healthy rates above 4%, poverty fell from levels above 50% to below 30%, contributing to an expanding middle class. Government revenues from oil production increased, with oil prices hovering over US$100 per barrel. A vigorous trade agenda closed some of the gap between Colombia and its trading partners with important free trade agreements negotiated and signed. The end of the commodity super-cycle, however, has uncovered substantial challenges: productivity growth, the main determinant of future income, has stalled for the past decade, total exports have fallen by over 40% as a result of the fall in commodity prices and government finances have been strained. Finding new engines of growth and diversifying the economy and the export basket became an important priority to consolidate macro stability and inclusive growth. 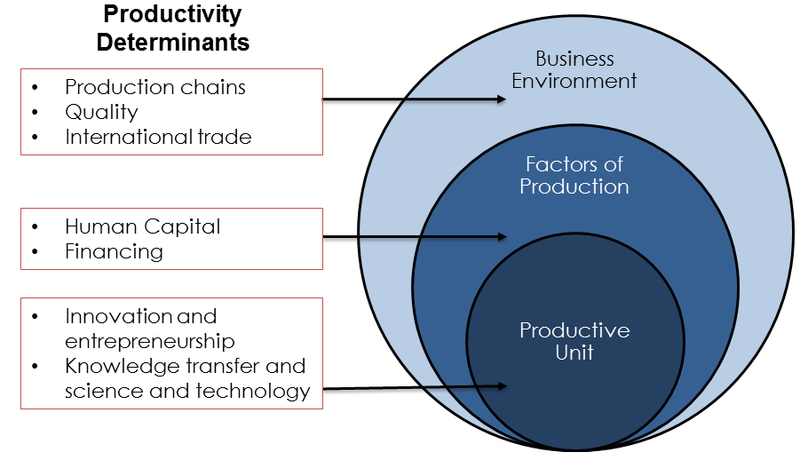 Productivity, that is, the competitiveness agenda as bench-marked in the World Economic Forum’s Global Competitiveness Report , was identified as the foremost policy goal to make progress in the quest for diversification and the emergence of a new economy. The government of Colombia, within the National Competitiveness, Science, Technology and Innovation System, designed three policy documents to tackle these challenges: the National Development Plan “Todos por un nuevo país,” the CONPES (main economic policy documents in Colombia) on productive development policies, and the CONPES on Science, Technology and Innovation. The National Development Plan, in its fifth chapter on Competitiveness and Strategic Infrastructure, laid out two policy streams: improving transversal competitiveness factors, and improving productivity through policies at the firm and local levels. This second stream, lead to the two policy documents on productive development policies (or modern industrial policy) and the science, technology and innovation, fleshing out all the elements, intensive in inter-institutional coordination and in public-private dialogue. The first policy document builds on the framework proposed by the Inter-American Development Bank in their flagship report “ Rethinking Productive Development Policies ”, and was built with the generous participation of the report’s coauthors. The framework suggests a three step process to define productive development policies: identification of market failures, selection of policies to address the market failure, and assessment of the institutional capabilities to implement the policy. 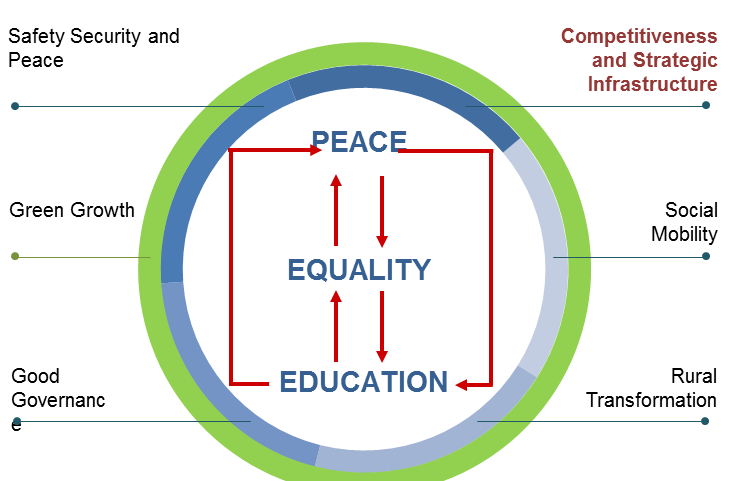 Additionally, the framework suggests dimensions to define a taxonomy for policies: the vertical or horizontal dimension, and whether the policy proposed is an intervention in markets or the provision of a public good. Based on this framework, the committee on productive development policy within the Colombia National Competitiveness System drafted the CONPES policy document, covering policies relevant to the firm, factors of production and the immediate business environment. Topics covered include, innovation and entrepreneurship, human capital and financing, production chains, international trade and quality standards. As identified in the Global Competitiveness Report Colombia, like most of the region lags behind in science, technology and innovation. The process of discovery of new growth sectors, and the transition of Colombia from a commodity-based economy to a knowledge-based economy, requires more research, more technology and knowledge transfer between knowledge producers and industry, and more innovation within firms. This policy document articulates this strategy using the same conceptual framework in the productive development policy and is in fact an essential element of this broader agenda for competitiveness. Colombia has made significant progress articulating a National Competitiveness System as an institutional framework for structured public-private dialogue and competitiveness agenda building. The three policy documents outlined tackle the challenge of transforming the Colombian Economy from a commodity-based to a knowledge-based economy with new productive and export sectors and a renewed agenda for policy coordination at the national and regional levels. Building on competitiveness bench-marking such as the World Economic Forum’s Global Competitiveness Report and the work of the Private Competitiveness Council , the think tank of the National Competitiveness System, the country has set up an institutional infrastructure and a competitiveness agenda in line with the challenge in an adverse regional and international context and consistent with the goal of jumping out of the middle income trap. The World Economic Forum on Latin America is taking place in Medellin, Colombia from 16 to 17 June.